← *STOP PRESS* The Day Before: a marathon four and a half hour David Bowie tribute show! This Saturday 14th January 2017 featuring the formidable, filmscape five-piece 8mm Orchestra, plus punk-flavoured, folk’n’roll from Emily C. Smith. 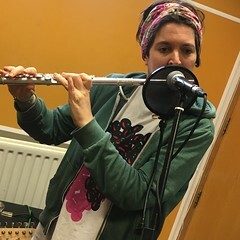 This entry was posted in dexter bentley, hello goodbye show, Hello GoodBye Show: Listings Info, resonance fm and tagged 8mm orchestra, dexter bentley, emily c smith, hello goodbye show, resonance fm. Bookmark the permalink.